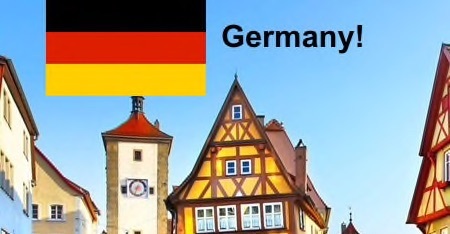 This Pop-up Restaurant Series brings us to Germany! Featuring Agness Wine Cellars Partner/Winemaker, Randy Agness, & Cibi deliziosi Chef/Owner, Rosita Caridi-Miller. 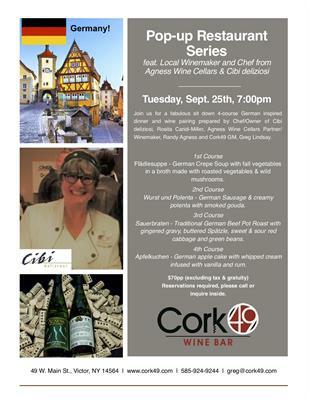 Join us for a fabulous sit down 4-course German inspired dinner with select wines from Agness and Germany. One seating time at 7:00pm. Reservations required, limited seating available. Please call us at 585-924-9244 or just stop in. Event flyer with further details is posted here, on our FB page, and website.